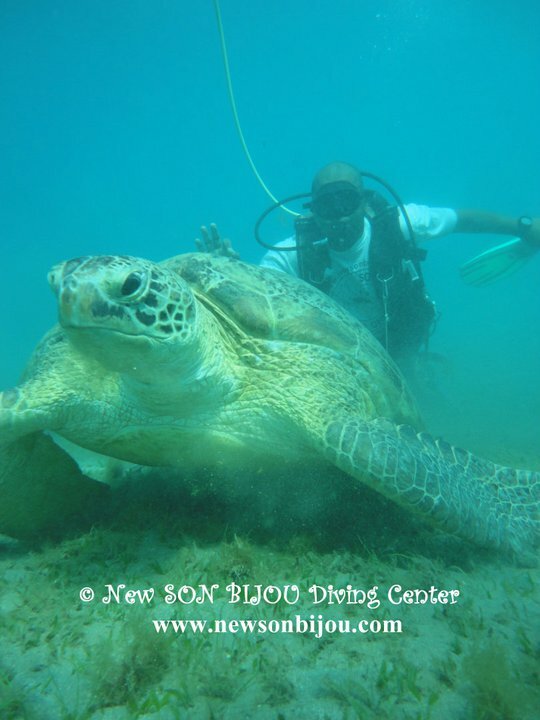 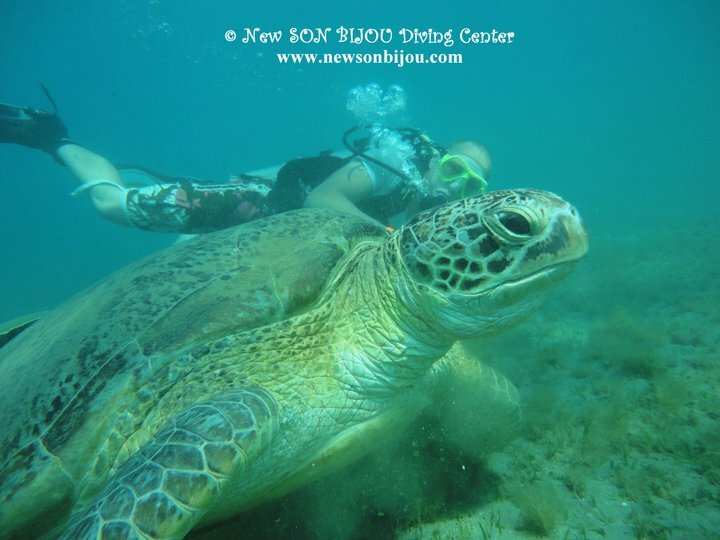 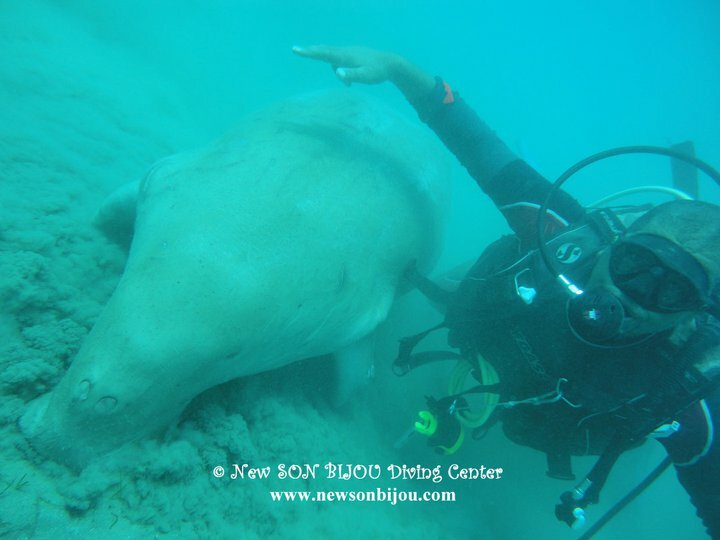 The dive starts from a shore and you swim 12 m until you reach a flat bed of sea grass at about 10 to 15 meters and in this area you encounter giant turtles, dugong (sea cow), eagl ray, guitar sharks. 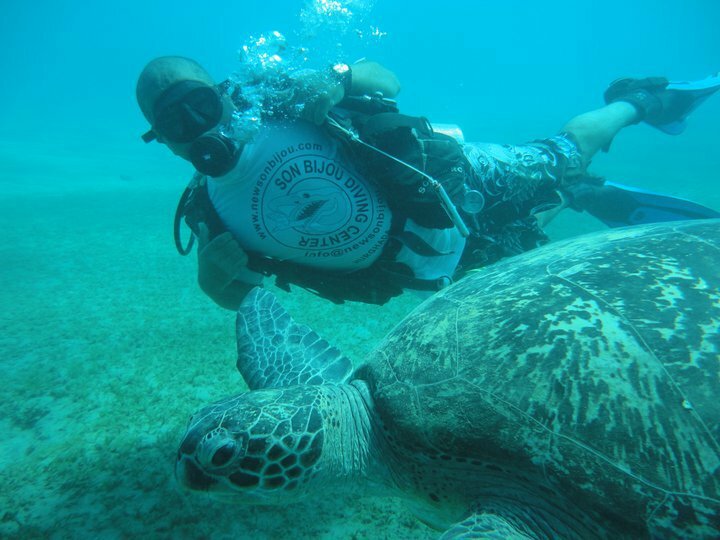 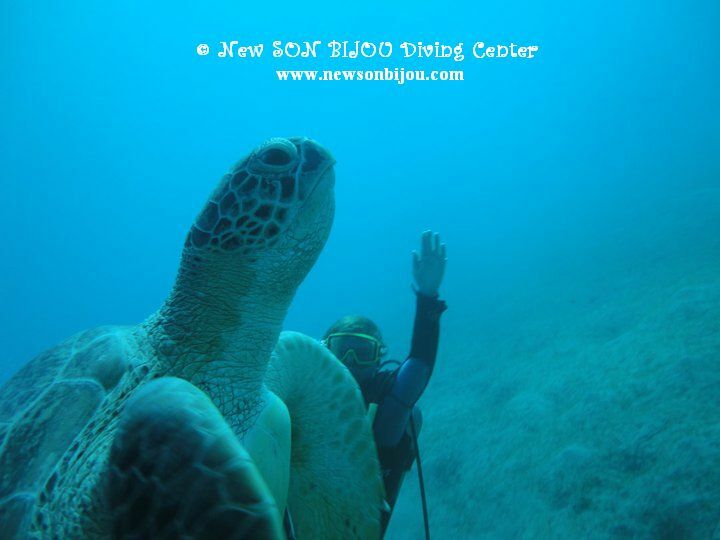 Access from the shore offers a much more peaceful and relaxed diving experience. 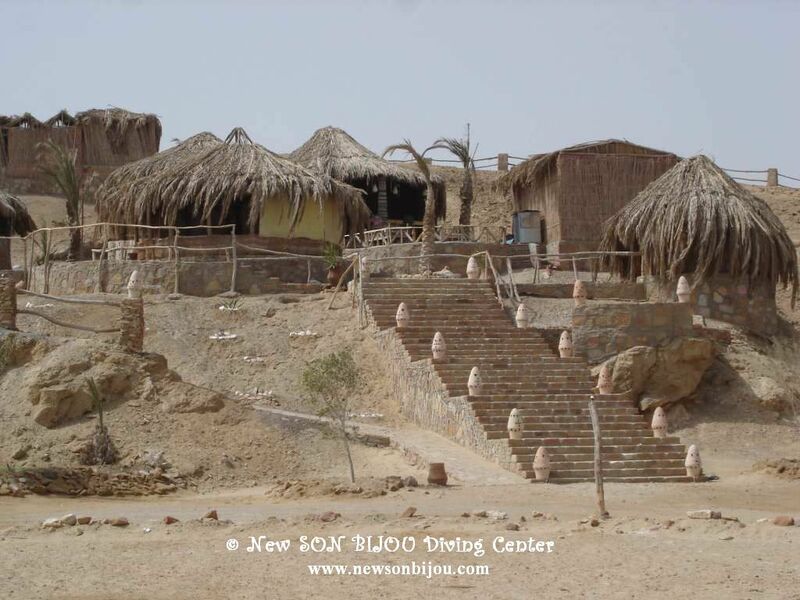 1 day trip: Starts early in the morning and back late in the evening. 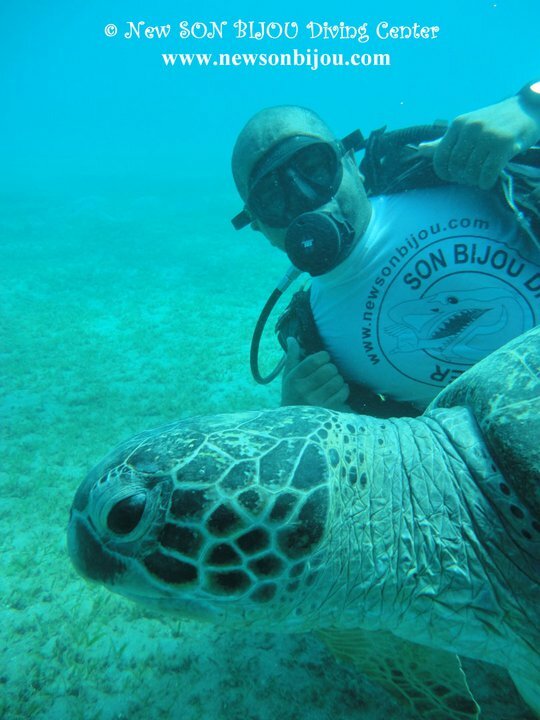 Diving and sleeping in a beautiful camp near by Marsa Alam. 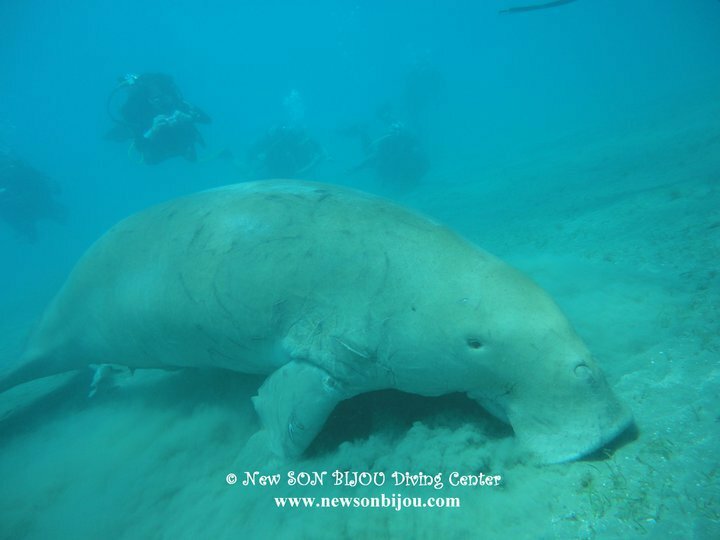 Discover the untouched underwater world and have a dive with dugong (sea cow), manatees, giant turtles, guitar sharks in Marsa Alam. 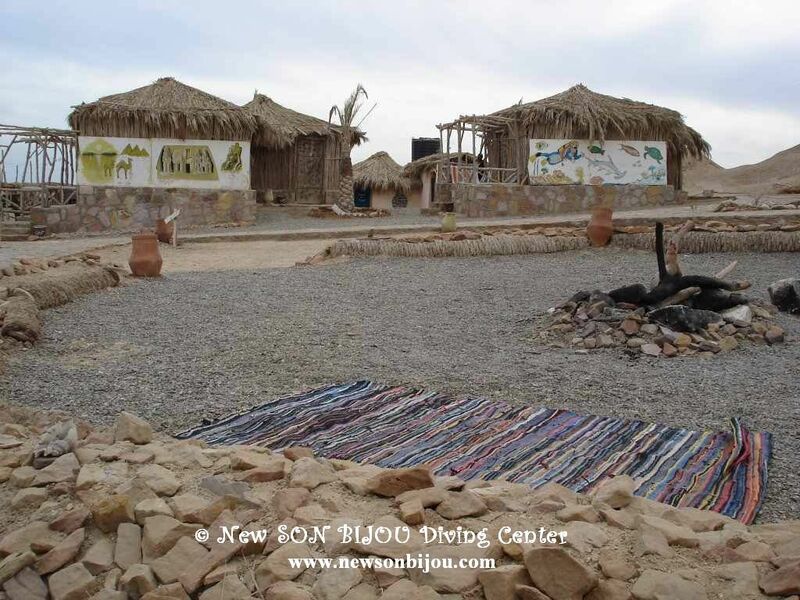 Enjoy a delicious barbecue and celebrate with us an Egyptian party at a campfire in the evenings. 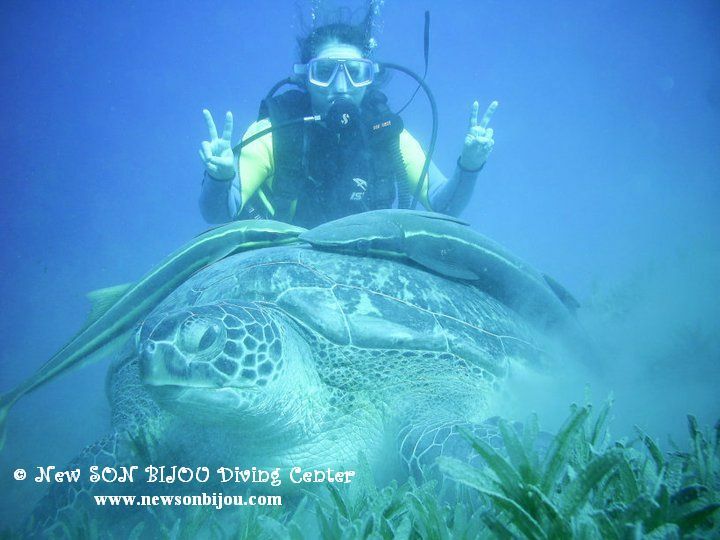 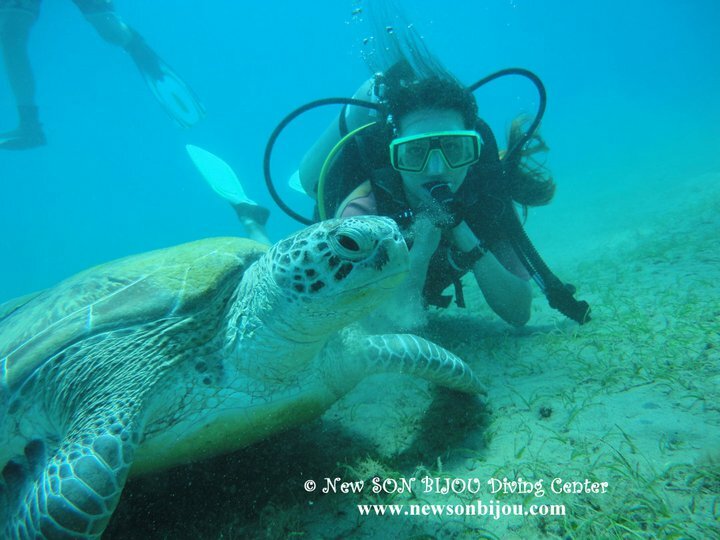 Giant turtles are used to seeing divers so they just keep chomping away the grass. 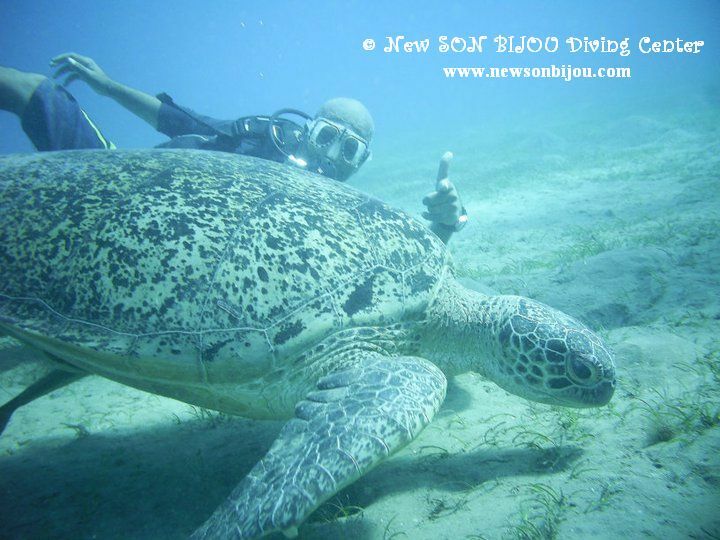 Turtles need 40 kilos of grass a day. 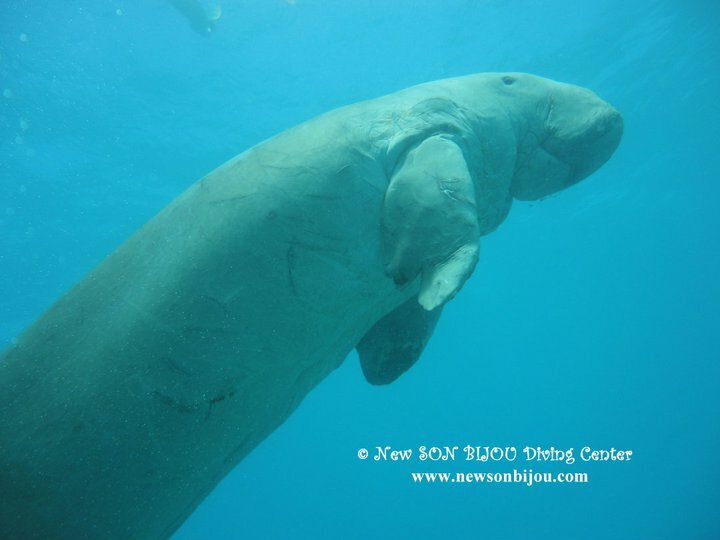 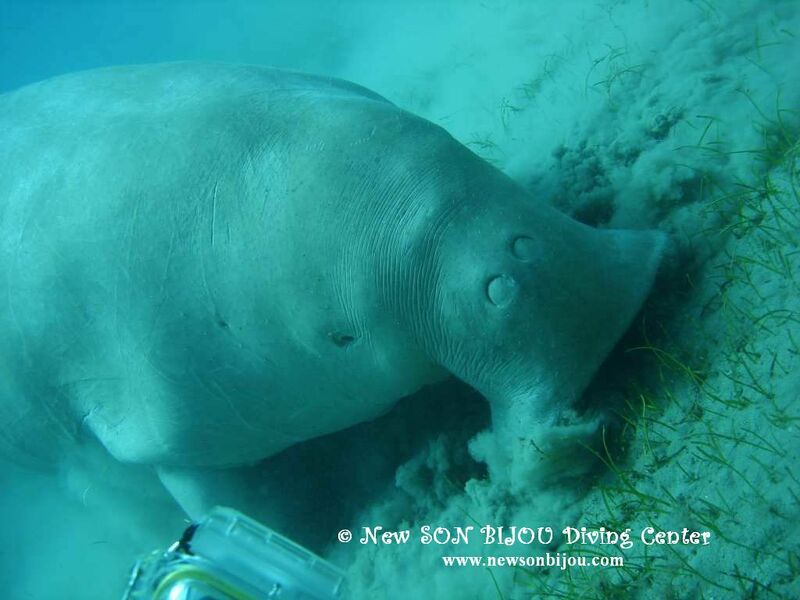 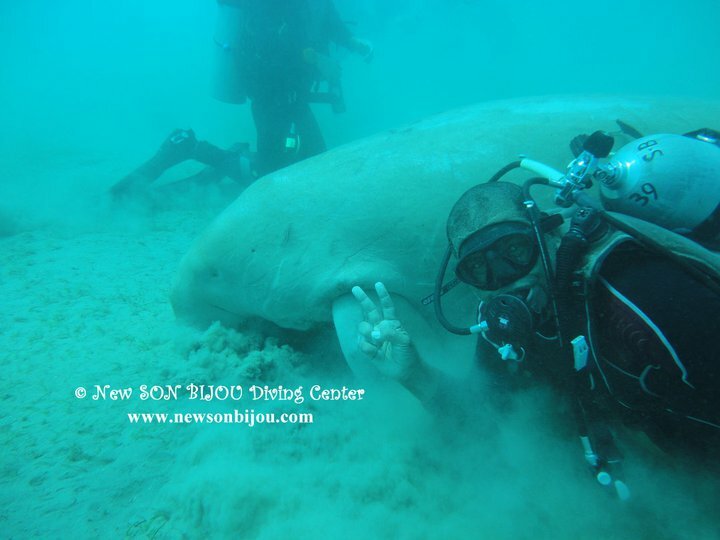 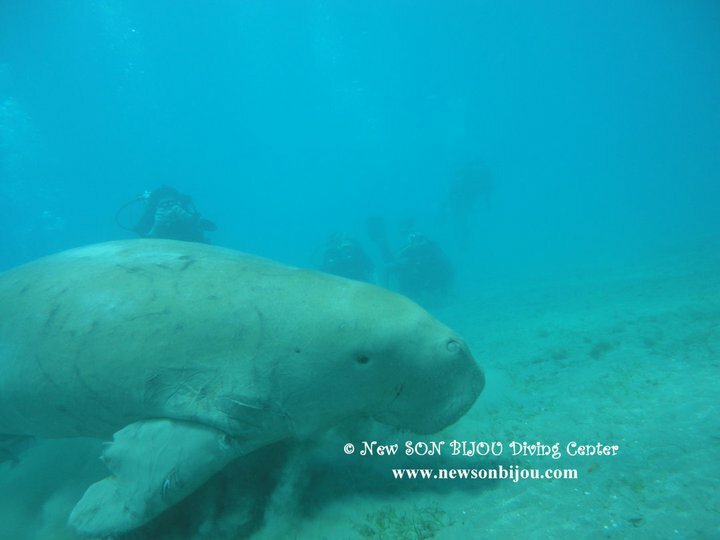 Dugongs are large grey mammals, it breathes air through lungs and has live babies not eggs like fish. 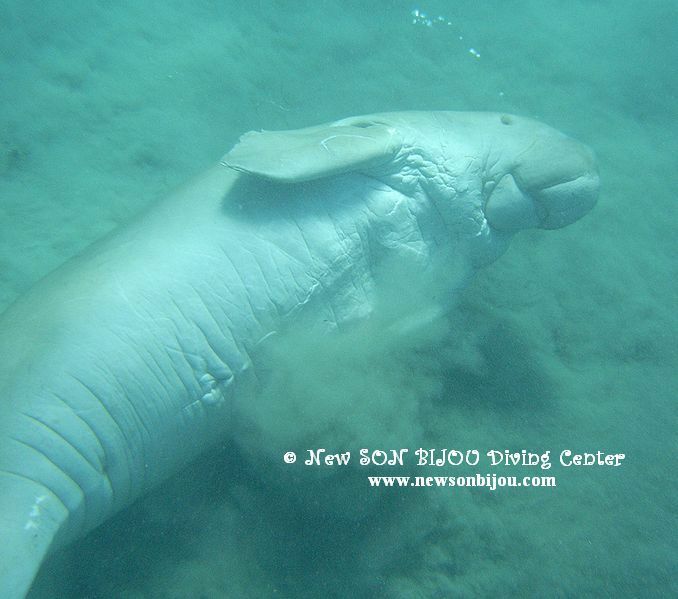 The Dugong may reach 3m in length and weigh almost 500 kg.